For the very best in garden and landscape, plants and sundries get in contact with VAN DER WEL LTD. Cappagh Nurseries & Garden Centre today. We are a family run Nursery / Garden Centre, that has been growing and supplying a wide range of plants since 1967. As well as plants we also sell a range of garden and landscape sundries from our Garden Centre at Tinakilly, just outside the award winning village of Aughrim in the Garden County of Ireland. VAN DER WEL LTD. Cappagh Nurseries & Garden Centre has been operating since 1967. 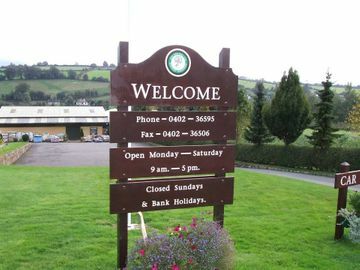 In 1990 we relocated to our present location conveniently situated just outside the village of Aughrim. We grow and supply plants to a wide range of customers. 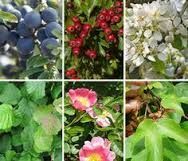 Since 1967, VAN DER WEL LTD. Cappagh Nurseries & Garden Centre have been supplying the wholesale and retail market with a comprehensive range of plants, trees, shrubs, hedging, conifers, herbaceous plants, fruit trees and bushes. VAN DER WEL LTD. Cappagh Nurseries & Garden Centre supplies clients with a comprehensive range of sundries, suitable for the growing and the care of plants, trees, shrubs etc. Our selection includes such essentials as plant containers, compost, tree stakes and ties, windbreak netting and ground cover fabric. Our friendly, highly experienced and knowledgeable staff can provide retailers and gardeners with planting tips and professional advice to ensure clients get the very most out of our plants. We provide passionate planting enthusiasts with a range of differently sized allotments – at competitive prices. The sizes we offer include; 100 square metres (10m x 10m), 150 square metres ( 15m x 10m) and 200 square metres ( 20mx10m ).
" Third year running we’ve been to see Nicolette. The trees I planted in December 2015 are doing amazingly well. Much higher take up rate than I expected bearing mind they were mostly whips. Great quality plants and trees plus a really helpful owner. " " Fantastic service, value for money & a beautiful garden to enjoy now "
" Excellent nursery/garden centre. Great selection of top quality plants and miscellaneous product's. Great deals on bareroot and root wrapped plants. Staff very helpful and enjoy a chat. Highly recommend. " " GREAT ADVICE AND QUALITY PLANTS WITH GREAT SERVICE"
" Super service with a great range of stock. Top class.."
" I bought a number of shrubs and trees recently, excellent quality at great prices."